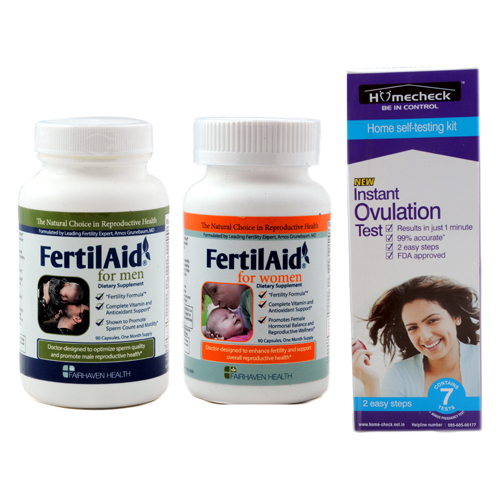 Fertilaid for Women was created by leading fertility expert and ObGyn, Dr Amos Grunebaun and produced and fully imported from the USA. It has been designed to improve reproductive health in women. The combination of natural herbal ingredients, vitamins and antioxidants have been scientifically validated to improve reproductive health in women, therefore improving chances of getting pregnant. 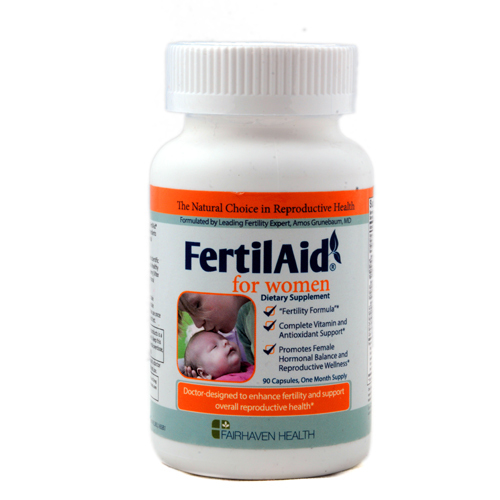 Fertilaid for Women works by improving hormonal balance and overall reproductive health.  You should use this if you are trying to get pregnant. 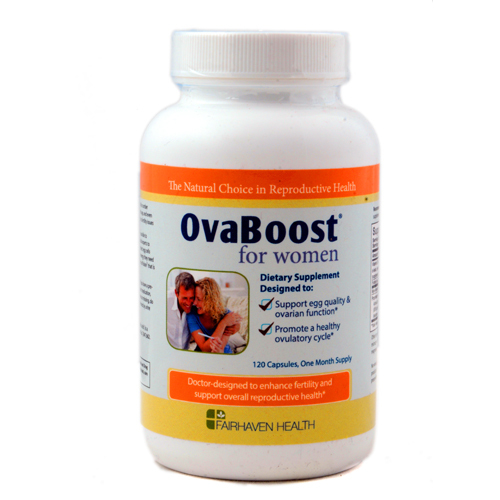 Fairhaven Fertilaid for Women is the #1 selling supplement in the USA and has won the best supplement by The Ovia Family Awards survey. This is an independent survey of over 9000 women who are trying to conceive. Among other key ingredients, Fertilaid for Women includes herbs such as red clover blossom, chaste berry (vitex) and Ginkgo Biloba which have all been proven to improve hormonal balance and at the same time, support reproductive health. Take 3 tablets daily with meals. It should be started as soon as you decide you want to get pregnant and you don’t have to wait for a particular time in your cycle. 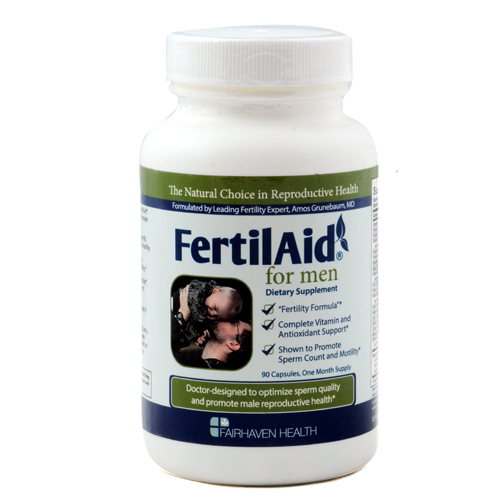 Ensure you supplement your diet with a multi vitamin such as Fertilaid for Women to boost your overall reproductive health and improve your chances of getting pregnant. Which supplements Can be Taken Together? Quite often, there is a link between Polycystic Ovary Syndrome (PCOS) and infertility. PCOS is possible the most common cause of infertility. It’s not surprising then that most women of reproductive age will experience problems in getting pregnant. Fertilaid for Women has been successfully used as an alternative to prescription drugs for women with PCOS who are trying to conceive. 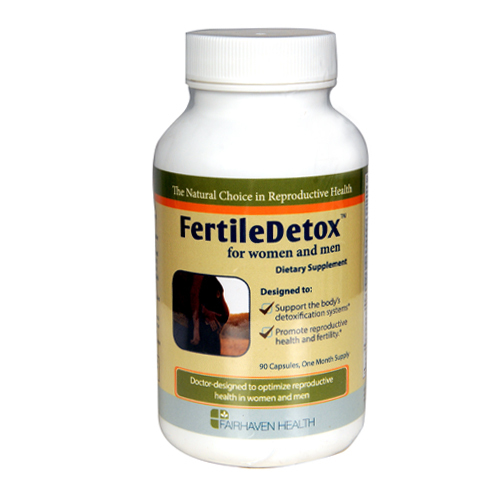 Its special blend of herbal ingredients and vitamins mean that it helps with balancing hormones such as progesterone, FSH, estrogen and prolactin. The thing is that not everybody needs to take prescription drugs or even undergo costly fertility treatments such as IVF when there is a very effective, natural and safe alternative which should be explored prior to taking such drastic measures to improve ovulation regularity and overall fertility. I am very much satisfied with this product.